Who's on the ballot: California voters are picking candidates for Senate, Congress, and governor. Did you know? 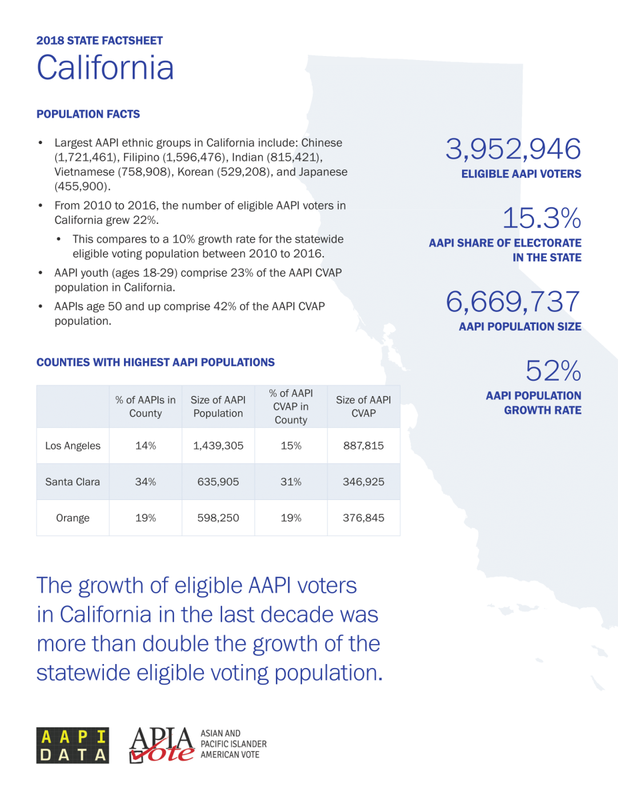 The growth of eligible AAPI voters in California in the last decade was more than double the growth of the statewide eligible voting population. Click here for the full state fact sheet. Who's on the ballot: New Jersey voters are picking candidates for Senate, Congress, and municipal races. Did you know? 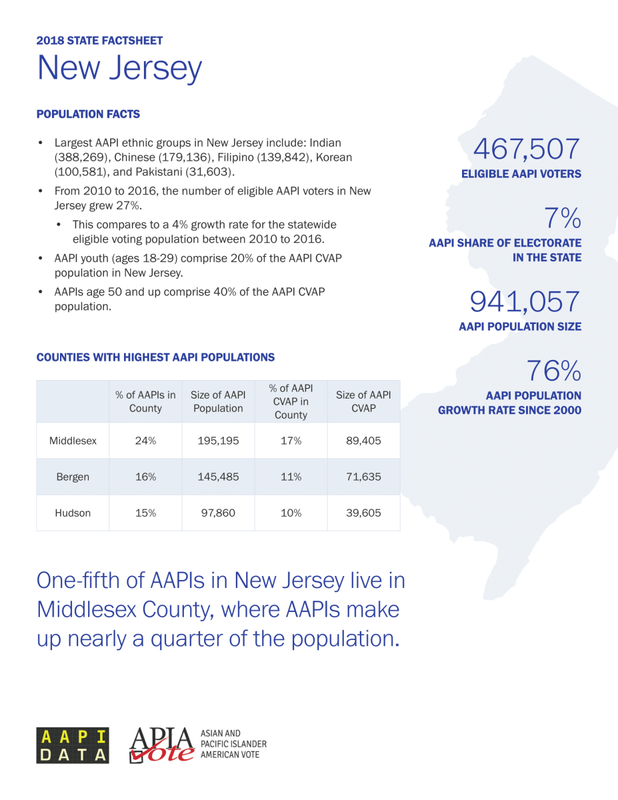 One-fifth of AAPIs in New Jersey live in Middlesex County, where AAPIs make up nearly a quarter of the population. Click here for the full state fact sheet. Find information on Asian American and Pacific Islanders in your state. Click on the link of each state to download the 2018 fact sheet. Click here to see all the states on a web page.